Download the 2017 Festival Site Map Here! There are various ATM locations on site. There are various locations on site to purchase beverage tokens and beverages. Beverages include Pepsi products, water, assorted spirits, Coffee, Irish Coffee, Irish tea, and lemony iced tea. Located throughout the site, including wheelchair accessible facilities and hand-washing stations. This year, beverage tastings are included in the price of Festival admission. List of participating distilleries is coming soon! The Great Allegheny Trail is open! Ride your bicycle to the festival and park it here! Blankets are permitted on the festival grounds. There is no on-site camping. Go to VisitPittsburgh.com for nearby camping facilities. You are welcome to bring your own chairs to the event! Children’s Irish Arts and Crafts for our wee folk! Take home a hand-made souvenir, enjoy an Irish story, sing-a-long, Irish games and even dance an Irish Jig! No coolers are permitted on the festival grounds. See entertainment schedule for dance lessons and performances. No pets are admitted on the festival grounds. Only registered participating Irish dogs and service dogs are permitted inside the festival. Check out the directions page for more information. See the entertainment page for a complete description of this year’s Pittsburgh Irish Festival’s performers. Join us on Facebook to get insider information about the festival! Join us for your family reunion! Have a tent to call your own for the day! Email us at pghirishfestival@gmail.com for more information. Available at our official festival merchandise booth in the food pavilion. Feast on mouthwatering Irish cuisine at all of our Irish Food booths and enjoy a sampling of Celtic beverages at our Tara Tea Tent. Menu items are located on our Vendor page..
Certified first aid on site staffed by UPMC. Group ticket prices are available. Call 412-422-1113 or email pghirishfestival@gmail.com for more information. Discover your Irish Family Tree in our Genealogy Pavilion! Conveniently located near the festival entrance. We are thrilled to announce that Courtyard by Marriott Pittsburgh Monroeville is the 2018 host hotel for the 28th Annual Pittsburgh Irish Festival. Book here by August 4 to receive a rate of $109/night for your stay for the Festival! Located at the festival entrance and in the food pavilion for your convenience. Learn how to do one! See Dance Lessons. Riverplex at Sandcastle, 1000 Sandcastle Drive, West Homestead, PA 15120. If your child becomes separated from you contact any Irish Festival staff member or on-site security immediately. Located at the Information booth at the Main Entrance Gazebo. Our Irish Mass is on Sunday at 10 AM. Celebrated by Father Brian Cronin, C.S.SP. of Duquesne University. Contact mairin.petrone@gmail.com for more information. No smoking is allowed under any tents, pavilions, or in any buildings at the festival. Guides will be available at the festival entrance. Plenty of parking is available for $7. Parking will be located throughout Sandcastle Waterpark with free shuttle transportation at designated points. Parking and directional signs will guide you to the appropriate parking locations. No Festival parking will be available at the Costco lot. Vehicles that are parked in the Costco lot may be subject to towing at the owner’s expense. Must have ticket for entrance. Participants can contact their area coordinator for more information. See Dogs. No unregistered pets are permitted on-site. Service animals are permitted. Email us at pghirishfestival@gmail.com if you have an Irish dog you would like to have featured at the festival. Contact us at pghirishfestival@gmail.com for general questions. Same day re-entry is available excluding Friday Happy Hour entrants. Have a place to call your own! Let us host your family, school, company, etc. reunion at the festival. Private tents provided. Fore more information, contact pghirishfestival@gmail.com or 412-422-1113. Plenty of seating is available but feel free to bring blankets and chairs. The safety and security of our guests is paramount to the Irish Festival. · Individuals visiting the Festival will be subject to personal belongings, bags, and purse checks. · Open bottles of water and soda are not permitted to be brought into the Festival. Guests are permitted to bring in one unopened factory bottle of water per person. · Alcoholic beverages will not be permitted to leave the festival grounds and must be thrown away or finished prior to leaving the festival. The Pittsburgh Irish Festival reserves the right to check bottles and cups leaving the grounds. · Outside alcohol will not be permitted to be brought into the Festival. The Festival will be serving alcohol. Senior discounts available! See admission. Continuous shuttles from festival entrance for your convenience. Check the Directions page for more shuttle info! Shop for Irish gifts at the Irish Marketplace. Guaranteed Irish, we feature over 30 specialty booths. Provided for Reunions! See Reunions. U are welcome to join us! Hope you can make it! Bring a friend or two! Contact ericaschey@yahoo.com for more information. 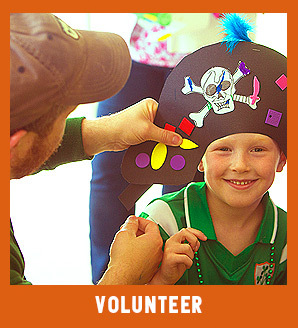 See our volunteer page to learn about volunteer opportunities. Unfortunately wheelchairs are NOT provided but the festival is wheelchair accessible. Subscribe to our YouTube channel for exclusive videos! A gentle, light breeze coming off of the Mon River to cool our beautiful Irish atmosphere. The Pittsburgh Irish Festival is also very proud to donate all surplus food items to 412 Food Rescue!